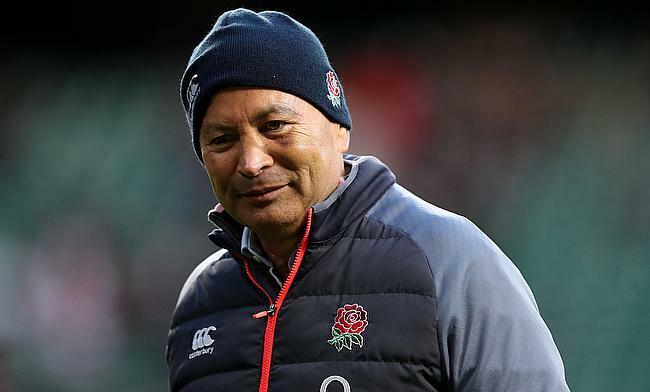 England coach Eddie Jones stated that he was disappointed with his team's performance in the Six Nations opening clash against France at Twickenham last weekend despite winning it by 19-16. England had a fantastic 2016 where they won 13 consecutive wins, including a Grand Slam in Six Nations and an undefeated autumn internationals. The world number two ranked team were tipped to win the encounter against Guy Noves' mean with ease considering their track record in the last year, but instead was pushed to their limits with France taking an early lead of 3-9 in the first quarter. As the game entered the final 10 minutes, France were leading 12-16 until Ben Te'o crossed over followed by a conversion from Owen Farrell led them to a thrilling three-point win. The 57-year-old said he was deeply affected by England's performance at Twickenham on Saturday and wants the red rose team to make amends when they take on Wales next. "I feel like we lost. We wanted to go out there and set the benchmark for the Six Nations and we didn't and we're disappointed by that," Jones said. "We want to go out this week and redeem ourselves. And that's a good feeling. "I didn't sleep on Saturday night, I know that, so the dog was unhappy and the wife was unhappy. "I'm just disappointed by the way I coached the team and I didn't sleep because I was thinking about what we could have done better. "I've found that after those sorts of nights you're at your most lucid, your thinking is pretty clear, as funny as it seems. You wake up in the morning and you've got the solutions there. "When I look back, we made some mistakes. The main mistake we made was that we added some things to our preparation which is important, but sometimes when you add things it takes away focus. "Those things we have added are going to be beneficial for us further down the track. "We're experiencing some short-term pain because we're probably not doing enough of the important things - we're doing things which are setting things in stone for the future. "But this week we will be a bit more focused - we will pare things down." England do not enjoy happy memories in Wales as they lost 36 out of the 61 games played in the country and they are known for receiving a hostile reception at the Principality Stadium and Jones is expecting nothing different this time around. "I'd be disappointed if it wasn't like that," he said. "You go to certain countries in the world and you expect that. "You get that in Wales and you get it in South Africa, particularly when you are on the veldt. That's part of the build-up to the game. "To me that is one of the great challenges of Test rugby - to go to those places and play in those areas. "We want that sort of attitude that it doesn't matter what happens. If they start throwing daffodils during the warm-up or make us stand out there for 15 minutes then we can cope with all that."